On Monday, a group of ex-politicians from Eastern Europe, Germany and Sweden sent a letter to President-elect Trump, warning him against striking a "new grand bargain with Russia" and pressing him to keep sanctions in place, threatening that otherwise "American greatness would erode." But not everyone agrees that the US needs to take a hard line. The letter to the President-elect, obtained and published by the Washington Post, urged Trump not to risk the "peace, predictability and security" gained "through our victory in the Cold War" by making overtures to Russia. "The prospect of a new grand bargain with Russia" would "endanger this historic achievement," the letter claimed. Furthermore, saying that "it would be a grave mistake to end the current sanctions on Russia" slapped on Moscow in 2014 over the crisis in Ukraine, the politicians, who include former Swedish Prime Minister Carl Bildt, ex-Slovak Prime Minister Mikulas Dzurinda, and ex-Polish Foreign Minister Radoslaw Sikorski, stressed that renewed American-Russian cooperation would "demoralize" Ukraine's pro-European and pro-American forces. Incidentally, all three men played an active part in Ukraine's destabilization in 2014. Sikorski's foreign ministry was openly involved in the events leading up to the February 2014 Maidan coup d'état, while Bildt and Dzurinda each became advisors to Ukraine's post-coup authorities. The letter also warned that a normalization "would destabilize our Eastern neighborhood" and give rise to "anti-Western elements," presumably referring to Eurosceptic forces that have been on the rise across Europe in recent months and years. "Have no doubt: Vladimir Putin is not America's ally," the letter said. If the US and Russia committed to a rapprochement, Washington's credibility with its European allies would be "shaken," and "the alliances that are the true source of American greatness would erode." Ultimately, claiming that Russia's actions have "made Europe a more dangerous place," the letter warns (absurdly) that Russia may even "test American credibility in frontline NATO allies, such as [the Baltics] and Poland," presumably by military force, if given the chance. 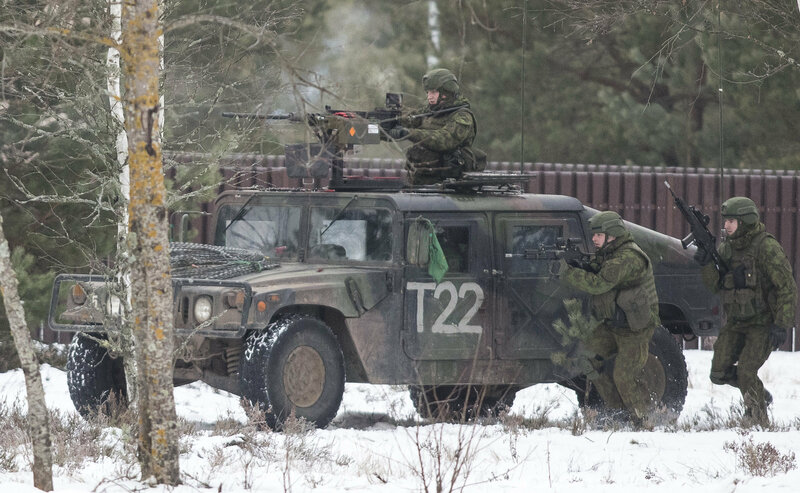 Soldiers take part in the NATO military exercise 'Iron Sword 2016' at a training range in Pabrade, north of the capital Vilnius, Lithuania on Friday, Dec. 2, 2016. The US and NATO have beefed up their presence throughout Eastern Europe significantly over the past two years following the outbreak of the crisis in Ukraine. Thankfully, not everyone agrees with these former policymakers' belligerent recommendations. Sputnik Poland was sent a copy of a letter, co-written by Polish political scientist Peter S Rieth and American Committee for East-West Accord director James Carden, challenging the tone and proposals made by the appeal that was published in the Washington Post. Urging President-elect Trump disregard the first appeal, their letter (which is currently collecting signatures) stresses that it's improper for these Russophobic politicians to appeal to Trump 'on behalf of' the people of Eastern Europe. Suggesting that the letter in the Washington Post was little more than "a series of irrational conclusions drawn from inaccurate information," the counter appeal calls on the President-elect to "forge ahead [with his] "stated aim of improving US-Russian relations." 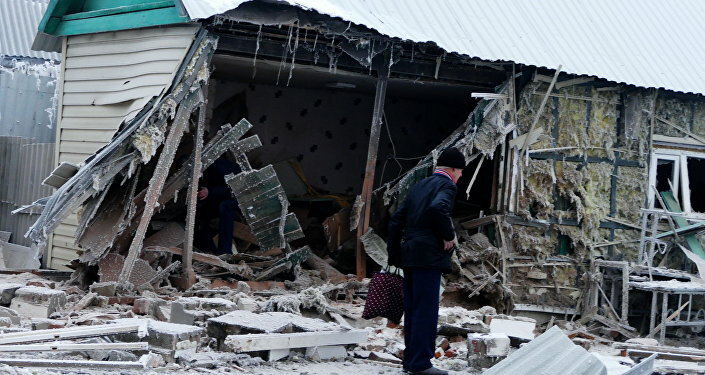 The appeal explained that it was "the Eastern Partnership, an initiative spearheaded by the letter's signatories," that was "largely responsible for the current war in Ukraine, which they blame Russia for." Indeed, Sikorski and Bildt played key roles in the creation of the EU initiative. "The Eastern Partnership sought to diminish Russian influence in the post-Soviet space by presenting countries such as Ukraine with a binary and blatantly irrational and ahistorical choice: either you are with the West or you are with Russia. The attempted imposition of this choice ignored the close economic, historic and cultural ties between Russia and Ukraine," the letter said. Rieth and Carden's appeal recalled that "rather than seeking to build a mutually beneficial system of economic and security cooperation between the EU and Russia, the Eastern Partnership sought to isolate Russia by incorporating Ukraine." When "Ukraine's democratically elected President Viktor [Yanukovych] refused to sign an economic agreement pushed by the Eastern Partnership because he found it unsatisfactory, he was overthrown" in a coup. It's possible that the latter fact is something Trump is already well-aware of, given that his former campaign manager, Paul Manafort, served as an advisor to Yanukovych before the Ukrainian president was overthrown. Lamenting that radical Ukrainian nationalists' influence on Ukraine's current politics "have too often [been] ignored by the Obama administration and its European partners," the letter stressed that the "uncomfortable truth" is that these nationalists "trace their roots to Adolf Hitler's allies in the Ukrainian Insurgent Army, which fought against the United States during World War II, and continued to fight a border war with Poland until well after 1945." Ultimately, the appeal to Trump noted that it was "the anti-Semitic and nationalist forces which the Eastern Partnership unleashed," not Russia, that "destabilized Ukraine and the region," resulting in over ten thousand dead and more a million refugees in Ukraine's civil war. "Your stated goal of working with Russia is the only hope of restoring peace to the region and giving the people there a chance at a normal life," the letter argued, speaking directly to the President-elect. Furthermore, the letter stressed, "contrary to the statement by the signatories of the Washington Post letter – that the source of American greatness is the NATO alliance – the true source of American greatness is American democracy, as embodied by the US Declaration of Independence and [the] Constitution." "We trust that your experience of the world as a businessman has demonstrated to you that peaceful and rational negotiations are preferable to war and provocation," the appeal noted. "We call upon you to reject the foreign policy advice of the Washington Post which has been wrong about nearly every major foreign policy issue of the past 25 years, and work with Russia, Ukraine and the EU to implement the Minsk peace accords, lift anti-Russian sanctions and withdraw American ground forces from Poland – a country which spent the past centuries fighting to free itself from foreign occupation." Appealing to periods of Russian-US cooperation in decades past, the letter called on Trump " to return to the path pioneered by Secretary [Mikhail] Gorbachev and President Ronald Reagan: a path that aimed to fulfill the promise of the first US-[Soviet] alliance under President Roosevelt when we defeated Nazi Germany together. It is possible and desirable for our countries to live in peace." Contacted by Sputnik Poland, Rieth explained that he hopes that the letter will be signed by several prominent former Polish politicians, with the aim of convincing Mr. Trump and Americans "that Poles also want good relations with Russia." Hopefully, he said, "all this will help show that the letter published in the Washington Post is an exaggeration." With any luck, it can also convince the President-elect that cooperation with Russia is not just possible, but necessary, for the maintenance of peace and stability, particularly in Eastern Europe.